Beautiful charts and graphs with easy functionality but the information is wrong. That pretty much sums up Zillow and their estimates that run on algorithms. 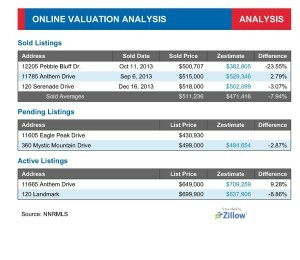 I was running a comparable market analysis for a new seller and noticed how far off Zillow is on home values. Don’t believe me… click the picture to the right. 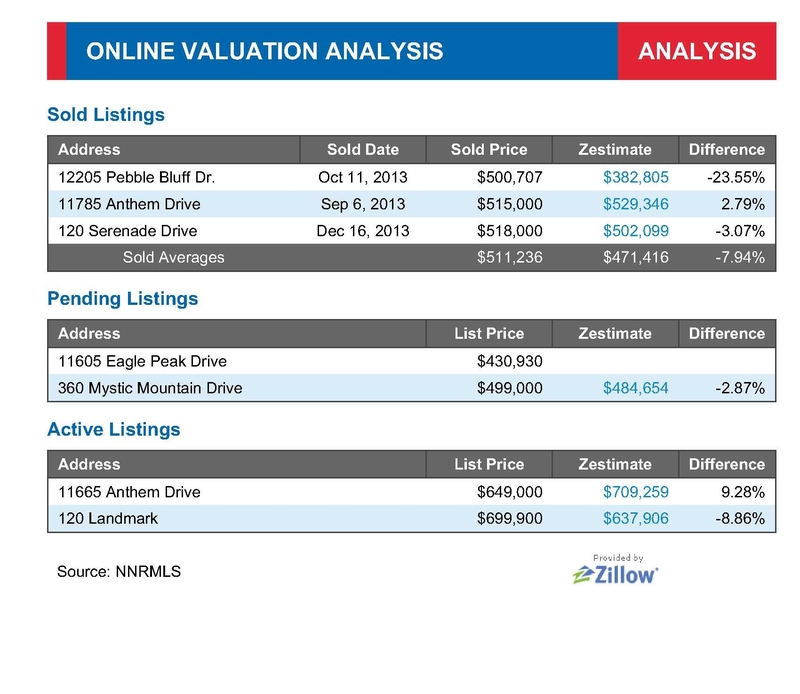 It shows the comps I ran for my clients, their sold price, and what Zillow said the value was. The difference was between 2%-23%. If you’re thinking of selling have your agent run a customized CMA with real data. Don’t trust robots. If you don’t have an agent visit www.HomeValuesOfReno.com or email your address to Ricky@RickyBeach.com to get your customized report. Will I follow up with you? Yes, my kids do need to eat. Will I stop by your house three times a week until you sell? No, because that would bug the stuffing out of me too. Posted in For Sellers and tagged reno home selling process, reno home values, reno listing agent process, reno property values, reno real estate values, reno zillow estimate.